I posted the question below. It’s amazing how these attorneys were unable to give a straightforward answer. Can Attempted Robbery with a firearm have robbery with a deadly weapon, robbery with a weapon, robbery as lesser included offense? Your trial attorney should be able to explain all this to you. Attempted Robbery with a deadly weapon and petit theft are permissible lessor offenses to Robbery. These are usually argued or stipulated during the charge conference prior to the jury instructions being read to the jury. 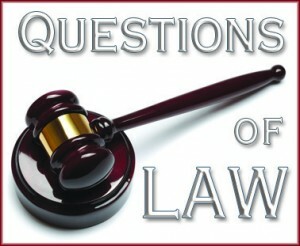 Speak to your attorney about the ramifications of the lessor included offenses. What you need to do is sit down with an appellate attorney and find out if there is any chance to appeal regarding these issues, and any others. The attorney will need to get a transcript of the entire trial to review.
? ?Count 1-Attempted Robbery with a Firearm & Count 2-Aggravated Assault with a Firearm – Double Jeopardy?? Your website answered President Obama’s question — as he visited an Oklahoma federal prison on 7/16/2015 — that why we have only 5% of the world’s population but would have host 25% of the world’s prisoners.